To be honest, we can’t think of a good reason not to run HOU. Why? 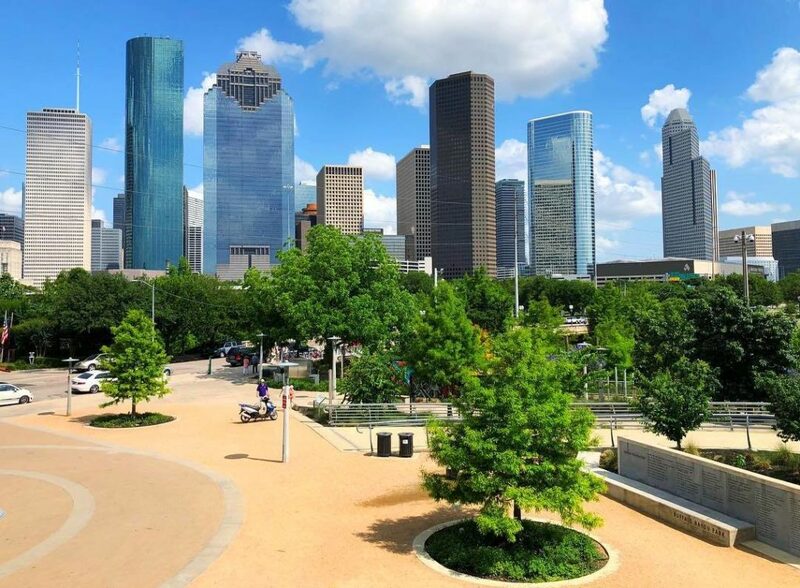 Houston has tons of great spots to rock out on a run; from parks to paths along the bayous, this big city has you covered. Plus, with its flat terrain, running in Houston can be a speedy feat! So where should you run in H-town? 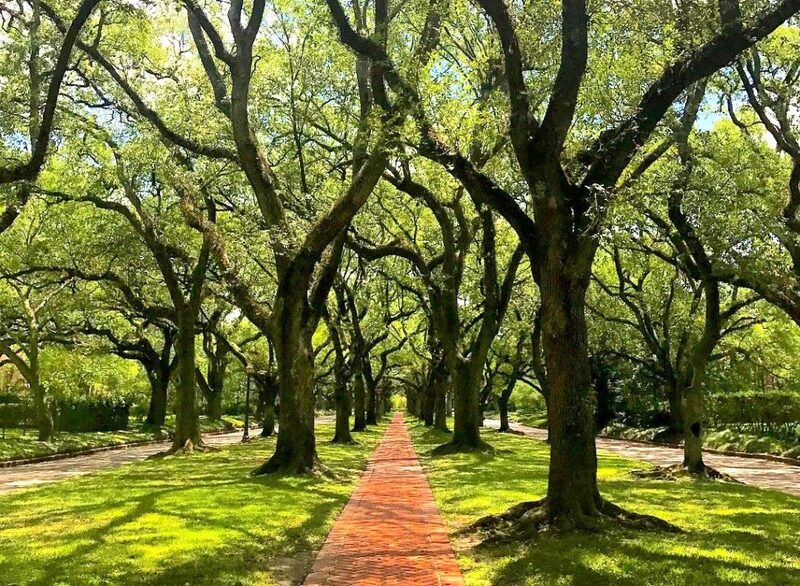 Here’s a list of our favorite spots to lace up your running shoes and hit the road (or trail)! If you like running by innovative art installations while smelling donuts and fried chicken (easy now; you have running to do), try the Heights Boulevard Trail. The boulevard is lined with art installations that switch up every few months, so you’ll always get something a little different. Plus, this route is the annual Houston Heights 5K, one of the fastest 5ks in town! Fitt Tip: after your run check out Lee’s Fried Chicken & Donuts for the aforementioned treats. If museums and monuments are your thing, give this two-mile route a try. 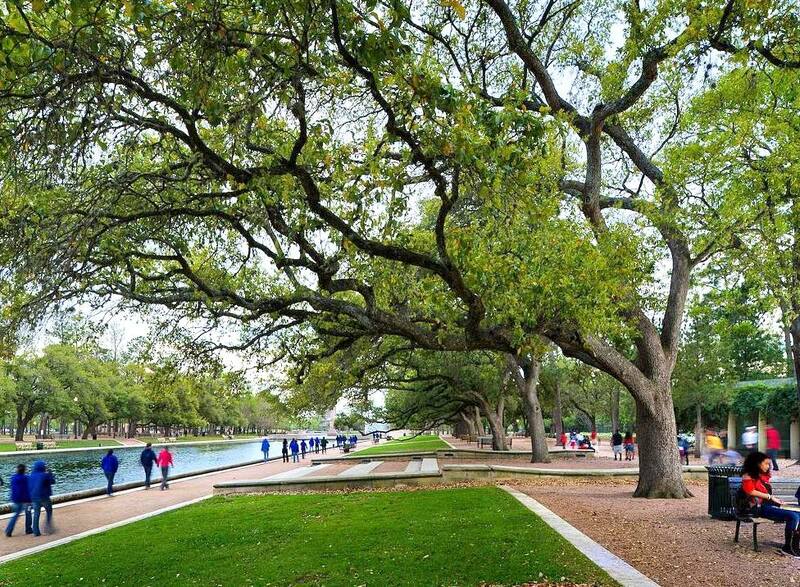 Blooming in the heart of Houston’s Museum District, Hermann Park gives runners unique scenery and great photo ops, including the Houston Zoo, rose garden, and even a replica of the Washington Monument — complete with a reflecting pool. 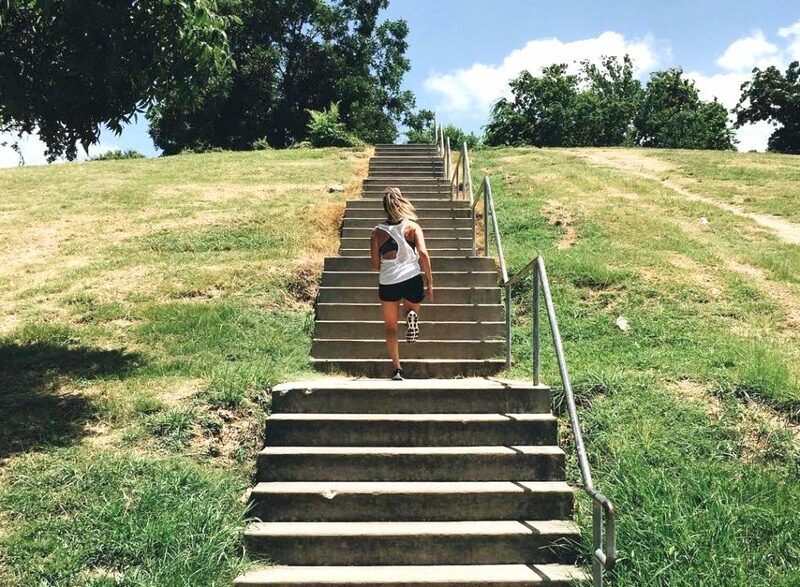 And when you’re done with your monument tour, check out the hill at the Miller Theatre for some intense hill repeats! Named after the 41st President of the United States, George H.W. Bush, this 7,800-acre area is the perfect place to escape the hustle and bustle of downtown. 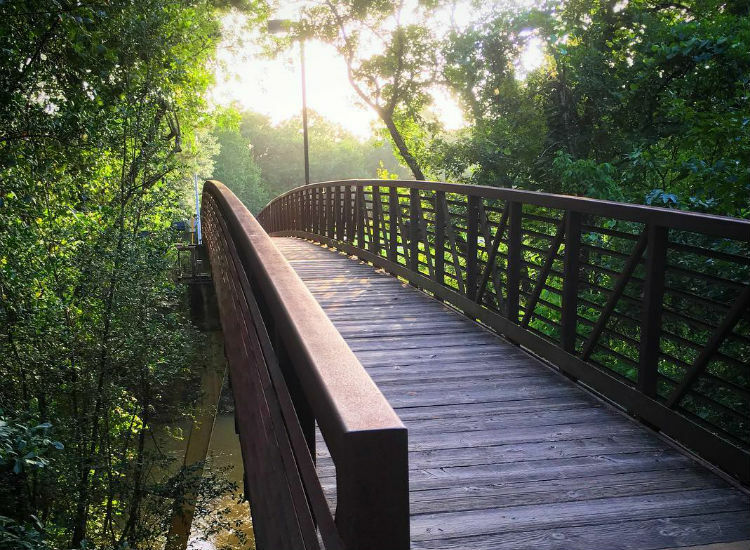 The west end of the Terry Hershey Park Trail is where you’ll find the trailhead for this park’s paved route, which will take you on a scenic run through the woods and along swamps. 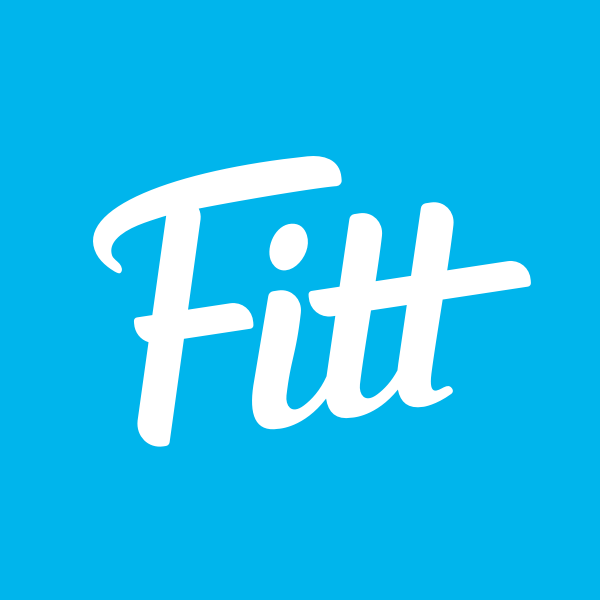 Fitt Tip: this run route doesn’t loop, so make sure you have enough time to double back once you reach the end. Reality check: Houston’s hot. That’s why this just-under-three-mile loop is perfect for summer running. The trees surrounding the trail provide natural shade, not to mention a pretty view! Add on an extra two miles by crossing the street to Hermann Park, or swap the extra miles for a brew by heading to the graduate student pub, Valhalla, for $1 beers (to quench your thirst, of course). When it comes to neighborhood running, Boulevard Oaks takes the cake. 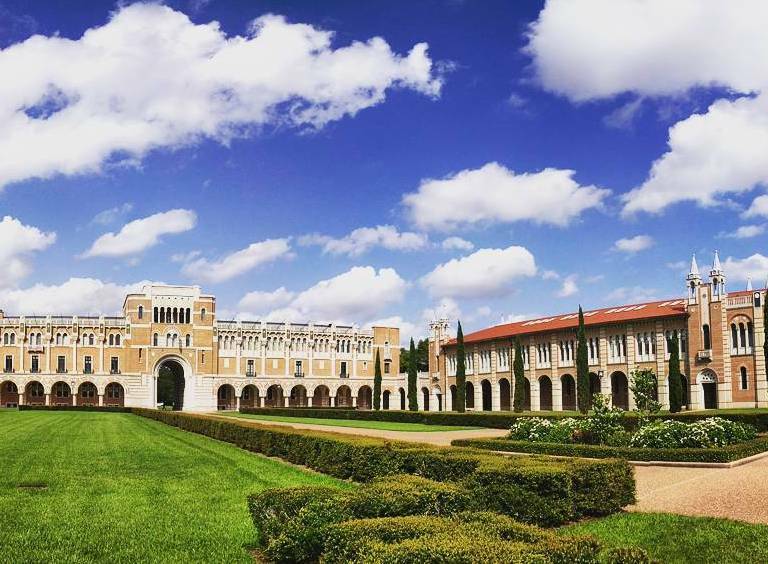 The beautiful, historic neighborhood just north of Rice University is filled with mature oak trees and wide, quiet streets making it a peaceful spot to enjoy your run. Zig zag up and down North and South Boulevard, then cut down Graustark St. to finish up at the runner-friendly neighborhood coffee joint, Black Hole. Although parts of the trail are closed due to damage caused by Hurricane Harvey, Houston totally stepped up its trail game with Buffalo Bayou. Recently redeveloped, this paved path makes running through the middle of the city feel like you’re in a park miles away from downtown. That is, until the gorgeous downtown skyline pops up! 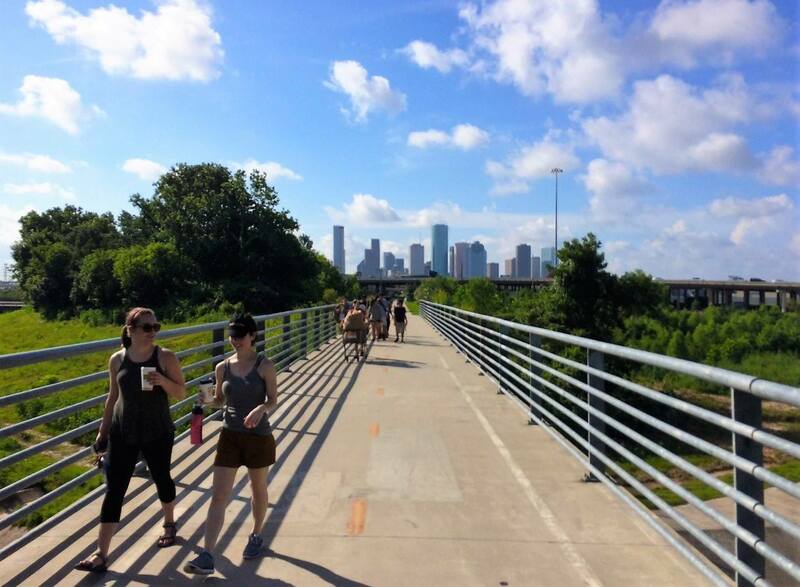 The trail is a runner’s paradise with several water fountains (major key in H-town), “runner-only” asphalt trails in addition to the paved, bike-friendly ones, and plenty of art and nature to keep things interesting. Do the full five-mile loop, or add miles through downtown or to Memorial Park for a longer run. Make it a whole morning (or day) of Buffalo Bayou fun by brunching it up at The Dunlavy or stretch it out with a hot yoga class at BIG Power Yoga across the street. 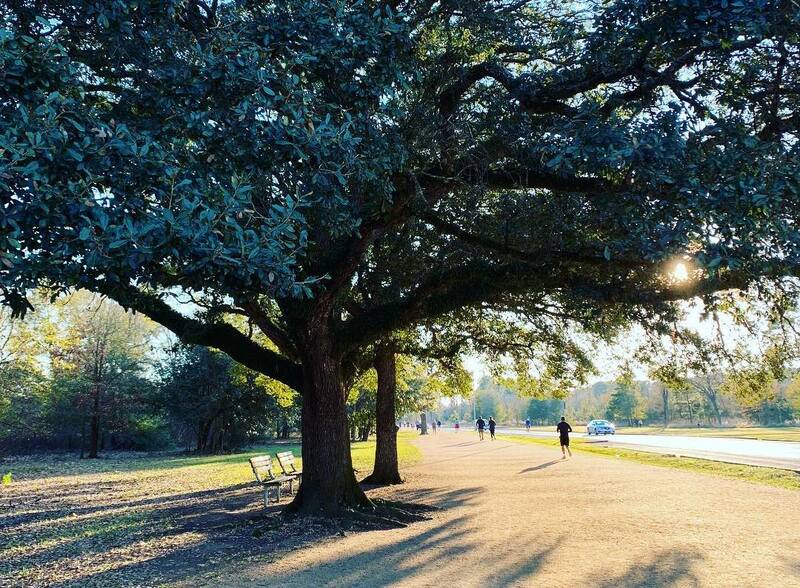 Houston runners know Memorial Park as the mecca for runners. The three-mile gravel loop is the hub for most running clubs in the city, as it’s centrally located with access to other running trails and right at mile 20 of the Chevron Houston Marathon. And while parts of the loop are periodically closed, word on the street is the trail is being expanded to include new routes. The park also has a brand new running center with showers and towel rental for runners, making it easy to head straight to work after a morning workout! And if you’re looking for a little more adventure, hit up the Color Trails for some trail running (and a brand new perspective of Memorial Park). Houston’s flat — we’ve covered that. So, when it comes to training for races outside of Houston, runners need to get creative! Spotts Park is a basin-shaped park which makes it one of the best spots (pun intended) to get hill training in. Plus, it’s within a close jog to both Memorial Park and Buffalo Bayou. 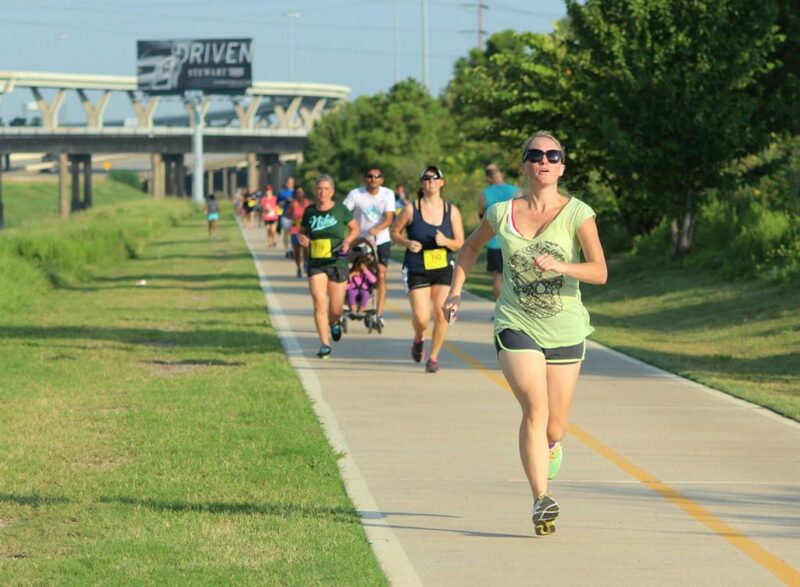 Every year, the Houston Area Road Runners Association (HARRA) hosts its annual relay race inside the basin and it’s the hilliest race in H-town! Just a short drive outside the 610 loop is this exercise oasis. With diverse terrain and quieter trails runners can choose from paved paths or more technical trails throughout the park. This east-to-west trail runs along Buffalo Bayou and has three separate areas for parking and entry along the way. Do yourself a favor and jump on the paved two-way bike trail that runs through one of Houston’s most loved neighborhoods, The Heights. 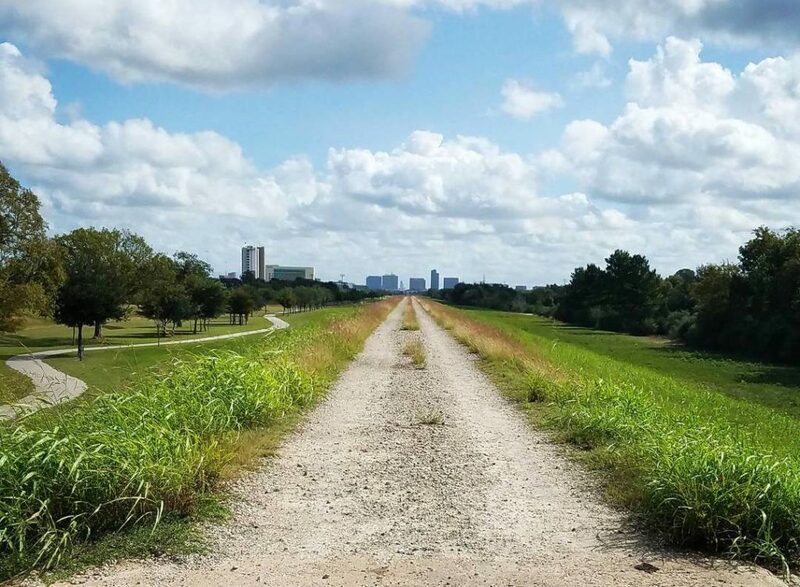 As part of the White Oak Bayou Greenway, this trail connects The Heights to downtown! Pack your phone for this route and plan for photo ops with street murals, historic homes, and the Houston skyline. Bonus: Local businesses like Black Swan Yoga and JuiceLand support local runners and bikers by placing coolers along the trail.